Plumstead’s new library on a car park off the High Street is now open. Facilties have moved to the Abery Street car park for a temporary period whilst the old library becomes a combined library and leisure centre. Costs for the new library have increased by 48% to £16.6 million. Public buildings have been sold off to fund the scheme, including a children’s centre and former leisure centre. 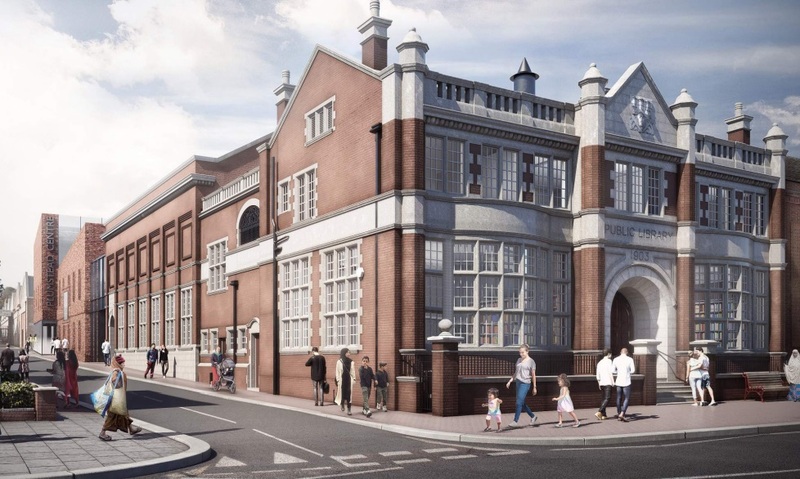 Greenwich decided not to use any external funds for the scheme which would have lessened the burden on local residents, unlike Bexley Council who are using grants to part-fund improvement work at a similar Carnegie library in Erith. That scheme is part of a larger £20 million Erith upgrade – of which only £4 million is internal funds used to leverage £16 million external funding. This is a much better spot for the library or leisure centre. A forward thinking authority would build here with new homes above. Some council homes for those in need and some market sale to cross subsidise.